Located in the building that’s seen restaurants come and go about twice a year for the last decade, this is finally something I can subscribe to. Opened yesterday, so I thought I’ll give it a go for lunch. 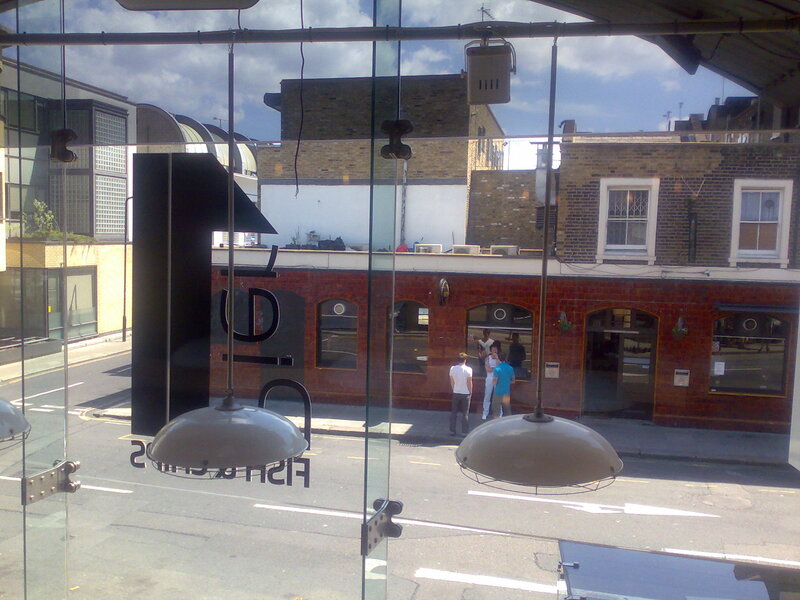 Great view from the upstairs inside, even though £12 is a tad pricey for cod and chips, with drinks for £2. Let’s see what it’s like, shall we?